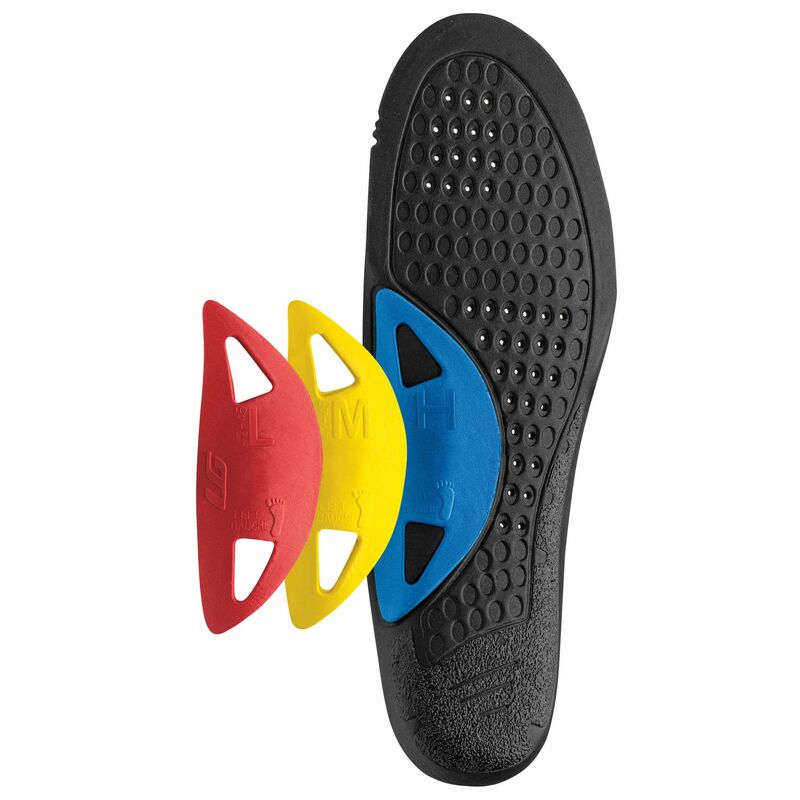 The Transfo 3D Insole is quite simply the lightest insole on the market. Offering a simple and easy way of customizing the arch support that your foot receives, this is an innovative means of improving overall comfort on the bike and reducing the chance of long-term injury. Simply remove and replace the coloured inserts based on how much arch support your foot requires. The non-slip surface of the underside of the insole locks it in place against the footbed of the shoe, while the Ergo Air® ventilation system preserves airflow. The insole can be adapted to all types of cycling shoe, for both men and women. It is included free with the Titanium and Graphite cycling shoes, or it can be purchased individually.